The Leadership Forum hosted the Scavenger Hunt on the 02 March 2017. 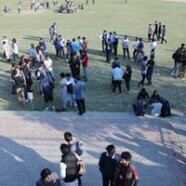 A large number of students actively participated in this, and a total of 30 teams were registered. The teams were given a set of interesting, and some challenging tasks. A few included taking a selfie with a bald person, getting a haircut from the barber shop on campus, and solving a riddle to find a book in the library. 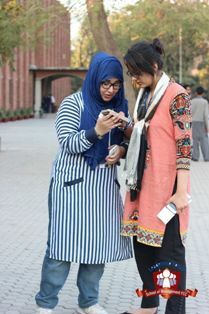 All the participants enthusiastically took part in these activities, and could be seen running around the campus. At the end of the allotted time of two hours, the total scores of the teams were calculated. First place was awarded to an all-girls team. This team included Rishum, Benum, Noor, and Shawal. These girls received their award of Rs 7000. All the participants and the management team thoroughly enjoyed the evening.